Most of the books I read seem to be from a girl's point of view, but one of my favorite books ever is a girl's story told from a boy's eyes. 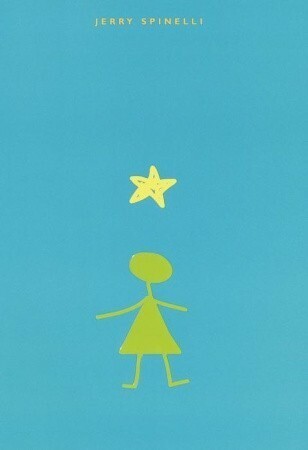 Stargirl by Jerry Spinelli - I still remember the first time I read it. The local children's librarian handed it to me and told me I was Stargirl. Watching Leo tell about Stargirl's arrival at Mica High, with all her homeschool-free spirit-blatant flaunting of normal high school convention? Yeah, it was a great read. I loved getting to see what Leo thought, and the way he offers not only his interpretation of the intriguing Stargirl, but also that of the entire school. It's a fun story with a poignant twist - and I was totally able to relate. My pick for best book with a male main character is a recent read that immediately became one of my favorite young adult books. 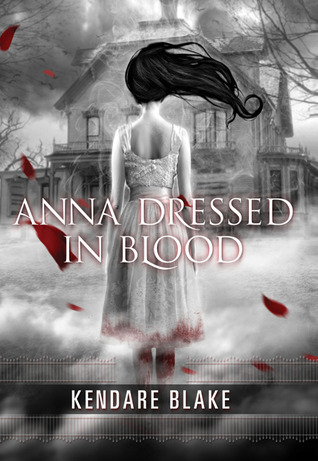 Kendare Blake’s Anna Dressed in Blood not only has a male protagonist with a cool name, Cas Lowood, but it has one of the most evocative covers ever. But of course, what make this book really special are its well-developed characters, an engaging and surprising mystery, and superb writing. So basically, Cas is a ghost hunter, but instead of a portable particle accelerator and ghost traps, he wields his father’s athame—a ceremonial dagger that can kill spirits that are preying on the living. He travels the country with his witchy mother, and is soon intrigued by the legend of Anna Dressed in Blood, a particularly violent apparition who becomes just as intrigued by him when she finds she can’t—or won’t—kill him. On the surface, Cas is kind of like a male Buffy Summers, with a dash of the Winchesters from Supernatural, but what really stood out to me is that this book is a perfect example of an elusive “boy book”… with romance. And I don’t mean lusty sexual attraction, but real, honest-to-goodness romance. Cas is sympathetic, competent, and charming, but not without his flaws—far from the typically brooding male main character. The requisite angst and father issues are really kept to a minimum here. Not only that, but the supporting cast includes strong, interesting, intelligent women, not least of which is the object of Cas’ interest: Anna herself. Cas also has a terrific relationship with his mother, itself fairly unique to YA. I really can’t recommend this one enough; even though it’s nominally a horror story, with a fair bit of creepiness, it’s exactly the type of book I like to read and strive to write. Unfortunately, you don’t find many like this one, so make sure you don’t miss it! 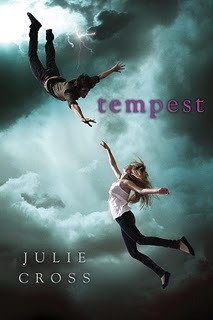 My pick for this has to be TEMPEST by Julie Cross. I absolutely adored this book. Before reading it, I came across reviews that said it wasn't all that good but actually, I couldn't disagree more! It was good to read something from a male perspective for a change, as many of the books I read are from a female character's POV. Jackson is a fun MC too. It was entirely new to me to read something about time-travel. Although I have seen Back To The Future and The Time Traveler's Wife, it's not something I see a lot of. In all, it was well-paced, well-written and a whole lot of fun. I'm not sure I would have enjoyed the book so much had Holly been the one to time-travel instead of Jackson - don't ask me why, I just think it needed to be him. There was a bit of controversy over Tempest at the time of me reading it, so I didn't actually write a review back then. Maybe now I can go back & re-read it and get around to that missing review. If you haven't read it yourself, I would highly recommend it! This week I'm going to be a little bit evil (just a little!) and choose a book that you can't read yet. 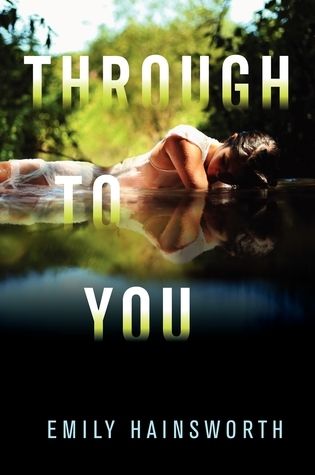 Through to You by Emily Hainsworth comes out on October 2nd* Mark that day down so you can go get it right away. It is by far my favorite book with a male main character. Camden is so real and so well developed that if I didn't know Emily as well as I do, I'd be tempted to accuse her of being Emilio. Okay, not really. But the book is incredibly beautiful and gripping. 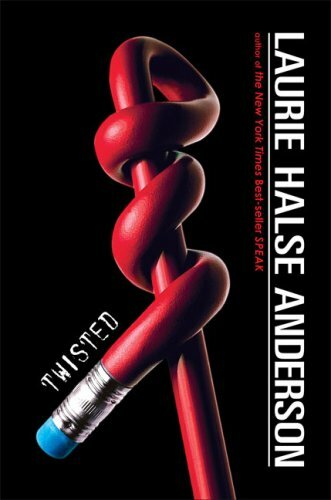 Watching Camden deal with the aftermath of a car accident that's left his world broken and his girlfriend dead is heart-wrenching.... and then when he realizes he might have a second chance--- if you're like me, you won't be able to flip the pages fast enough to see what he decides. So what do you think? Are there other male books that we missed? Make sure to come back next week- we are celebrating our 1 year blogoversary all week and we have TONS of giveaways going on next Thursday- you DON'T want to miss this! ANNA DRESSED IN BLOOD. <3 I haven't read the rest of these, but . . . seriously. ANNA. So much love for that book. Also, I am SUPER excited for Through to You. I'm in love with the premise, and the cover is beyond gorgeous.